When picking a perfume, there are so many perfume brands for women to choose from. You want to be sure to pick a perfume that not only smells wonderful, but gives people an insight into you are as an individual. Keep your budget in the forefront of your mind and do not be afraid to ask for help, if you are unsure. Six random perfumes have been sampled for this article and will be discussed further. The first perfume is a flower oil perfume and is very fragrant, though not overpowering. It is called Marilyn Miglin Perfume. The downside to this perfume is that it comes in small bottles and the bottle does not last as long as a customer would like. It is also not easy to find and some users have reported that is hard to get out of the bottle. Many users of the flower oil perfume say that the fragrance stays with them all day long, some have reported that the fragrance starts out strong and then becomes a lighter fragrance. 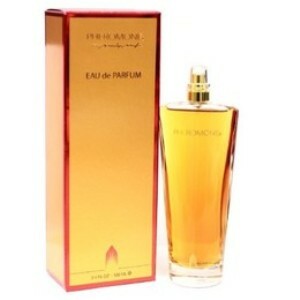 Some users of the Miglin perfume report that is worth the money because it is not expensive and is a good perfume. The second perfume is a floral fragrance. It is a floral fragrance like no other on the market, especially in the design of the bottle. This perfume is called Betsey Johnson Too Too Pretty and many users of this fragrance buy it simply because of how pretty the bottle looks. It does have a pleasing smell, but is more a product for teenage and young women. The fragrance is not strong and it does not last long. Many users have complained that it smells of cheap perfume. Overall, this product had more bad reviews than good. The third perfume is a citrus fragrance, but it has a hint of an ocean scent. This fragrance is inexpensive, but can be hard to find in many locations. This fragrance is My Voyage by Nautica. Users of this fragrance report that the scent does not last long and that reapplications of the perfume are necessary, especially in order to maintain the lovely scent. Since My Voyage is relatively inexpensive, many users reported not feeling upset about using the product up quickly. The fourth perfume is a woody fragrance with a hint of floral. It is called Parisienne and is not sold in many locations, but is fairly priced. It has a strong scent, but the scent quickly fades away. Not much of Parisienne is needed, so a little bottle of this perfume will go a long ways. If you are in the market for a very ladylike perfume, this would be your best choice. The fifth perfume is a floral fragrance and may remind you of a floral garden. It is called J’adore. J’adore is expensive, but has been on the market for quite some time. The floral scent is not overwhelming and many users report that they make J’adore their first and only choice, especially when it comes to perfumes. 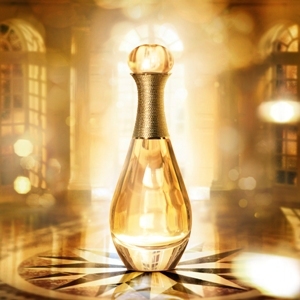 The sixth perfume is a floral fragrance with a hint of a woody, somewhat oriental scent. It is a long lasting fragrance, but is somewhat expensive. This fragrance is called L’eau D’issey. 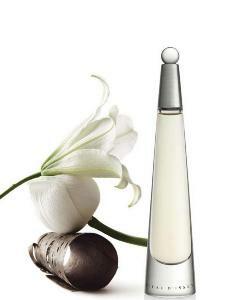 Many users of L’eau D’issey advise using it only during the summer months, as it a very summerlike fragrance. Based on the samples and reviews, My Voyage was favored by more users than the others. The scent may be fleeting, but some may not mind reapplying this wonderfully scented fragrance. The price is right and scent is definitely breathtaking. Some users may find this particular perfume hard to find, but with the internet, one should have little trouble getting their hands on this product.